Self Care for Moms aren’t just trendy buzz words – it’s about making sure moms take care of themselves, too! With school back in session, now more than ever, it’s important to make time yourself. 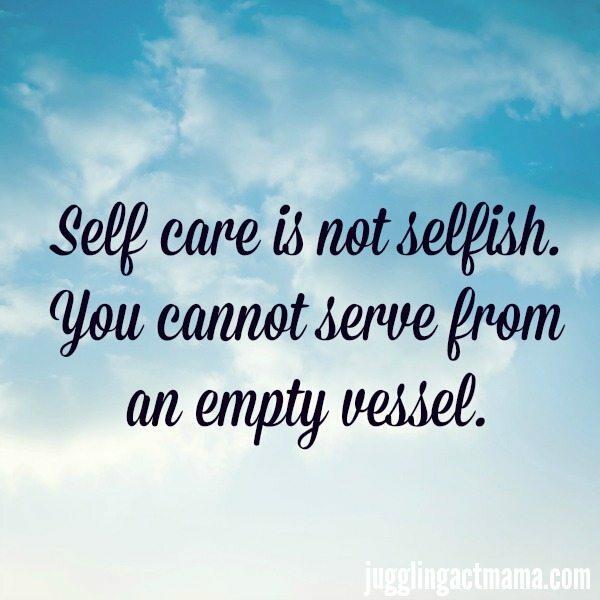 Self care for Moms is about making sure your cup is filled before you have nothing left to give your loved ones. This post contains Amazon Affiliate links. All opinions are my own, but I only promote things that I love and think you will love, too! 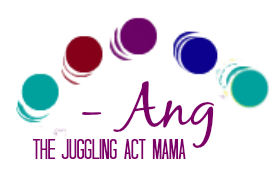 This does not increase the cost to you, but does help support Juggling Act Mama. For more information, please see our Disclosure Policy. I know you…. you’re the mom that got up early to make your daughter’s favorite breakfast, just because. You’re the mom that ran around to three different stores looking for your son’s preferred brand of yogurt. You’re the mom that was up all night with the teething baby so your partner could rest. You’re an awesome mom. And now you need to stop and take some time for YOU. Sometimes motherhood feels like a crazy roller coaster. There are times when you just want to pause so you can enjoy the highs and then those terrifying moments when you’d give anything to just get off the ride for a minute and catch your breath. You’re not alone. I’ve struggled with this and I want to share with you a few things that have worked for me. Here are just a few self care things you can do for yourself that will pay off in spades. When you’re a better you, you’re a better mom! Mornings are a mad rush in our house and I’m always skipping breakfast, which leaves me hungry and grumpy. Take the time to make yourself something delicious. My go-to is a smoothie because it’s quick and easy and I can sip it while I look for lost shoes or missing library books before we run out the door to school. 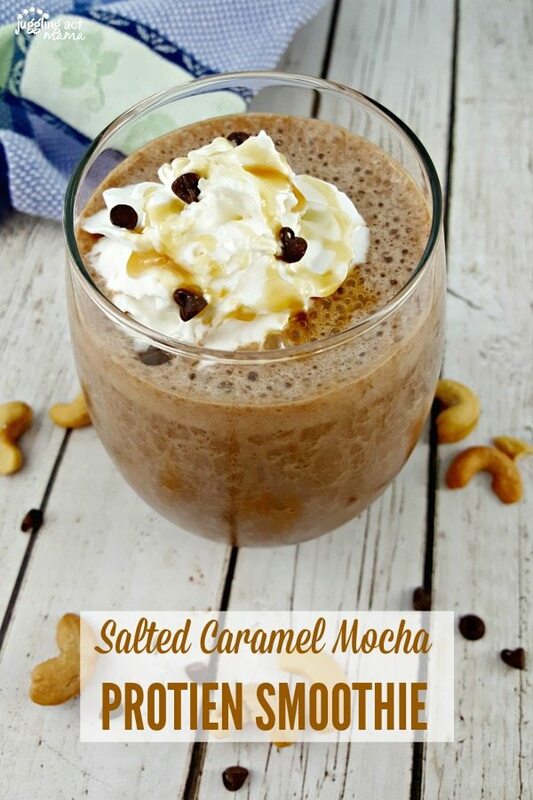 This Salted Caramel Mocha Protein Smoothie is my current favorite, but if you’re staying away from caffeine, try my Apple Pie Smoothie or plan ahead for the week with these Sausage and Cheese Egg “Muffins” to get your day started. 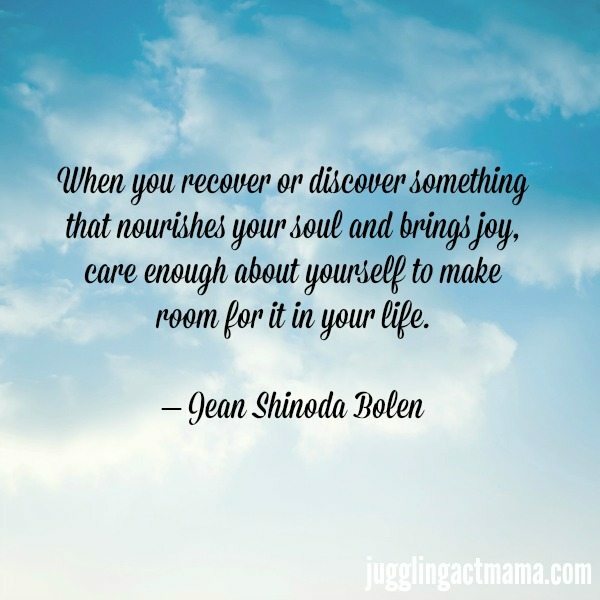 I know it sounds a little corny, but we all need spend some time feeding our soul to replenish all that every day life drains from us. This is unique for every person. It could mean taking a walk in nature, doing yoga, or just reading a book. Something that is just for you that helps you relax and rejuvenate! Right now, I am in love with listening to books in the car with Audible. It’s easy for me to get frustrated while I’m running errands or aggravated I’m “wasting time” in the car pick up line at school. When I listen to an audio book, I enjoy these mundane tasks so much more. It may seem like a small thing, but it has a big impact on how I feel about my day. The important thing is that you make some time to do things you just love. If you love to cook, try a new simple recipe that won’t take you forever, then set aside some time to try a more elaborate recipe on the weekend. You’ll be amazed how making time for your favorite craft or hobby just once a week will make you feel on all the other days. It gives you something to look forward to while you sit on the sidelines at soccer cheering on your kiddo while it drizzles! 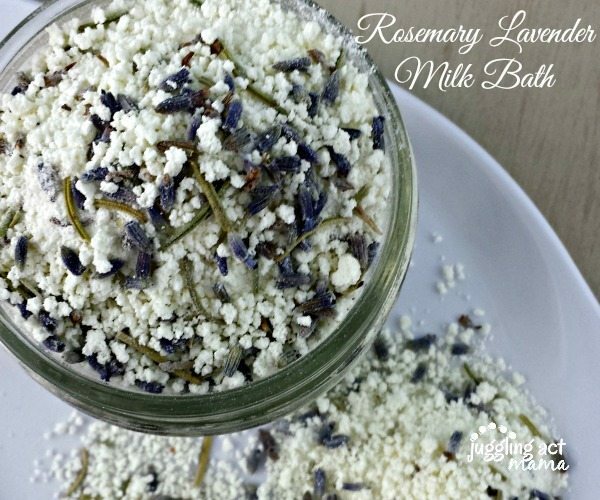 If you’re like me and love a good hot bath, then take a few minutes to make one of these amazing milk baths. Both the Rosemary Lavender Milk Bath (below) and our Chamomile Milk Bath are fantastic for helping you to relax and unwind. Add some Lavender Bath Salts or other Epsom salts, which are great for soothing tired muscles and getting rid of toxins in your body. You can even make a sugar scrub with your favorite essential oils and really make the most of your bath time! 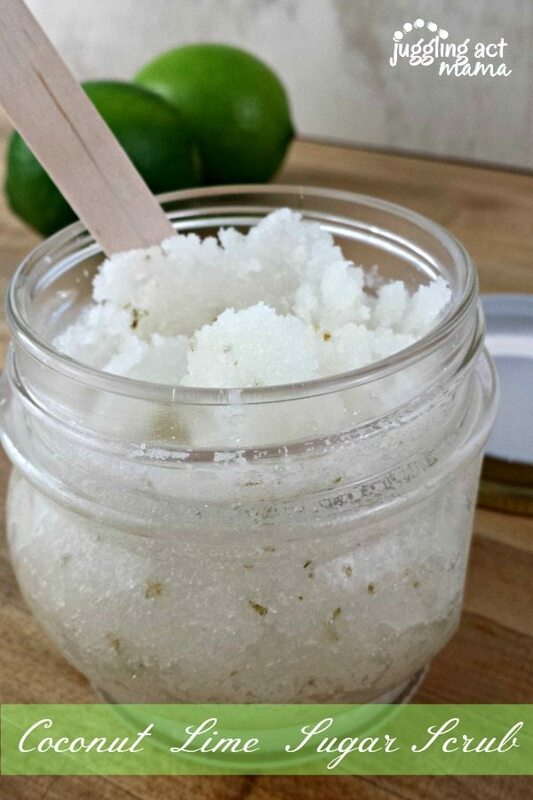 This Coconut Lime Sugar Scrub is one of my all-time favorites! And most importantly, at night, put your phone or tablet down and turn off the TV. The light from these devices can actually keep you awake longer. Instead, do some gentle stretching or read a book. You could even keep an adult coloring book and some colored pencils by your bed. This is a great time to feed your soul while you unwind from your day! My mother has always said that the universe gives you what you put into it. That doesn’t just mean being kind to others and all that good stuff that moms say. It means having gratitude for all the things that are going right in your life. Even on the worst of days, you can find some small good. When my daughter is being headstrong and throwing a tantrum, I try to remember that she’s going to grow up an be a strong independent woman. When my sink is full of dishes, I try to be grateful for the meal that created them. Am I successful every time? Of course not! I get frustrated too. One of the things that works for me is having a Gratitude Journal – a place to write down the things I am grateful for in my life. Sometimes when I think I’ve had the worst day and there is nothing, I look back and read my lists. Some days I’m grateful for the journal. 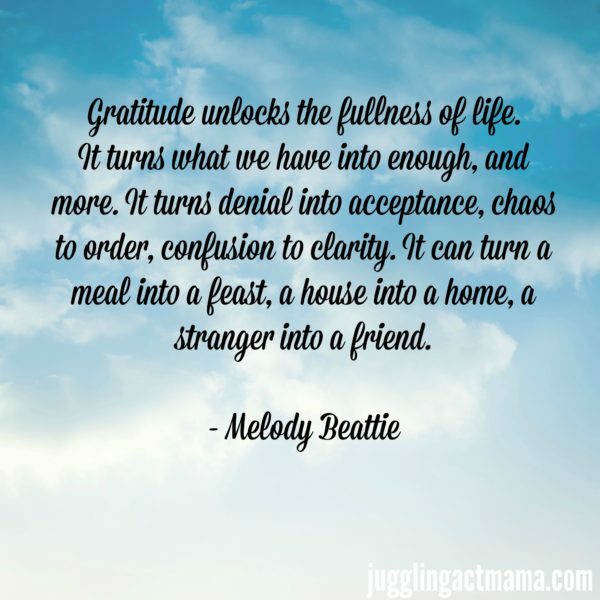 Self care for moms has to include gratitude. I could write for days and days on self care for moms. That doesn’t mean I have it all figured out. I happen to be having a brief moment of clarity. What I do know is that every mom deserves time for self care, and every mom needs to make it a priority. When you do one or two small things for yourself, you’ll feel less frustrated and more loving. I love learning from my readers, what do you do for self care? Thank you for this! I have been feeling so burned out, but it’s good to know I’m not alone! Gosh, it’s so hard for moms to think about themselves, but it’s definitely necessary. I didn’t do it for so long and I was so burnt out and angry all the time. Taking time for yourself makes a HUGE difference and something everyone should do. That’s a great point, it’s so easy to get lost and angry as a mom when you don’t take time out for yourself! It’s so hard to find time for self-care (and alone time!) with little ones at home. Thanks for some awesome tips and thanks for the super-helpful reminder. I feel so much more like myself when I have some time to just worry about me!